BEING NAMED AS A DEFENDANT in a lawsuit can be very scary. If you lose the other party is generally entitled to recover the damages being sought. The most common ways for a creditor to recover a monetary judgment is through wage garnishments or bank account garnishments. It is very time consuming and costly to defend against a lawsuit. In many cases, filing for bankruptcy protection is the cost effective way to stop the lawsuit and prevent the creditor from ever attempting to pursue the matter again. The type of lawsuit that you are facing impacts the type of protection that a bankruptcy can provide. IF A CREDITOR IS ALLEGING DAMAGES to a person or property, the creditor is pursuing a lawsuit for monetary/money damages against you. This type of case includes breach of contracts, automobile accidents, or other actions where damage is caused to a person or a person’s property. Like in all such cases, the creditor must file the case with the courts to begin the process. Once filed, the creditor must serve you notice of the lawsuit. Once you are served, you must file a response, known as an answer, within 28 days of being served. If you file an answer, you are in contested litigation. The creditor has the burden to prove entitlement to damages. Defense of a lawsuit is costly and time consuming without a guaranteed outcome. A DEFAULT JUDGMENT may be granted to the creditor if you do not file a response with the court. 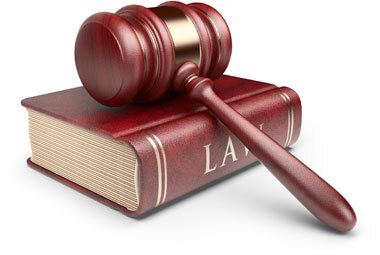 This allows the creditor to win the lawsuit by your forfeit, obtaining a judgment for the damages being requested. If you file for bankruptcy, the lawsuit must immediately stop that day. The creditor cannot litigate and cannot pursue damages while your bankruptcy is pending. If the debt itself is dischargeable in your bankruptcy, the creditor is forever bared from pursuing the debt. The lawsuit must be dismissed against you. BEING SUED FOR EVICTION can create a difficult situation. If you do not defend yourself, your landlord is going to win the action and the court will require that you vacate your home. If you fail to vacate when requested by the court, the landlord can obtain a writ of possession where the sheriff will actually set all of your property and assets on the street. If you defend the action, it can be expensive and difficult to litigate the case. FILING FOR BANKRUPTCY PROTECTION before the landlord obtains the final judgment in the case will automatically stop the eviction process while you are under the bankruptcy’s automatic stay. This can provide you with the ability to secure a new residence while you are not experiencing the same type of financial pressure. Timing is very critical when dealing with an eviction and bankruptcy. If you wait to file for bankruptcy protection until after your landlord obtains a judgment, you limit your right to remain in the home while the bankruptcy is pending. LAWSUITS ARE VERY SERIOUS MATTERS Not only will the filing of a case impact your credit, but it can place your property and assets in jeopardy. The longer you wait to take action, the more limited your options become. Our attorneys and lawyers are experienced and aggressive in advising clients on the positive impacts of filing for bankruptcy protection when facing a lawsuit. Call today for your free telephone consultation to determine how the law firm of Barr, Jones & Associates can help you get back on the road to a financial fresh start.